2018 has been a year of landmark moments for the transgender community, leading to increased visibility and awareness across the country. This week, to mark Transgender Awareness Week, we’re taking a look back at the year and shining a light on ways that understanding and acceptance of the transgender community has grown. Take a look, and come back this weekend and Monday for the second and third parts in this special Transgender Awareness Week series. While many of the headlines this year have centered on the White House’s attacks against transgender people, month after month we’ve seen just how out of step the Administration is from everyday Americans’ views of transgender people. In state after state this year, Americans have stood up and spoken out in defense of transgender people, rallying against discrimination, calling their lawmakers, and voting directly to protect transgender people from harm. Just two weeks ago in Massachusetts, voters resoundingly supported nondiscrimination protections for transgender people. On Election Day, a supermajority of Massachusetts voters – 68% – upheld protections for their transgender neighbors, making a definitive statement that discrimination is not an American value. The ballot fight, led by Freedom for All Massachusetts and the Yes on 3 campaign, focused on preserving protections that a bipartisan array of state lawmakers and Republican Gov. Charlie Baker passed in 2016. 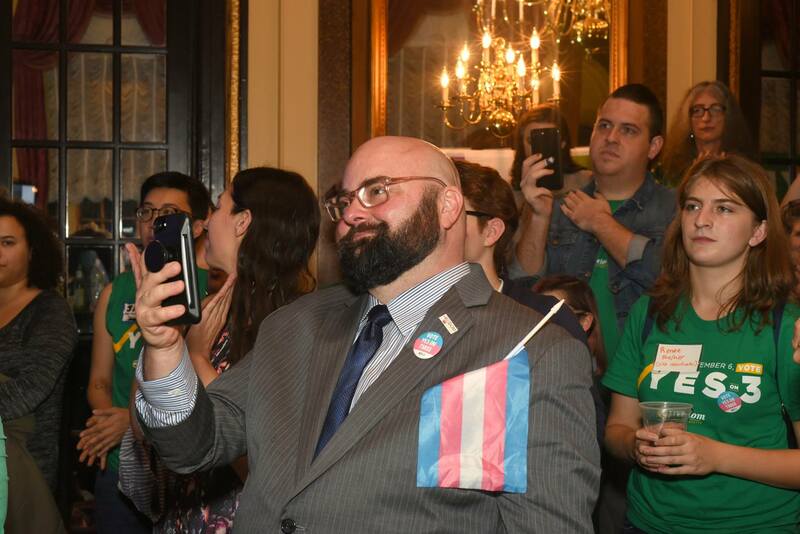 The campaign mobilized the largest-ever coalition in support of transgender dignity, including large and small businesses, faith leaders, law enforcement, safety advocates, and lawmakers and made history by making Massachusetts the first state to ever affirm transgender dignity by popular vote. 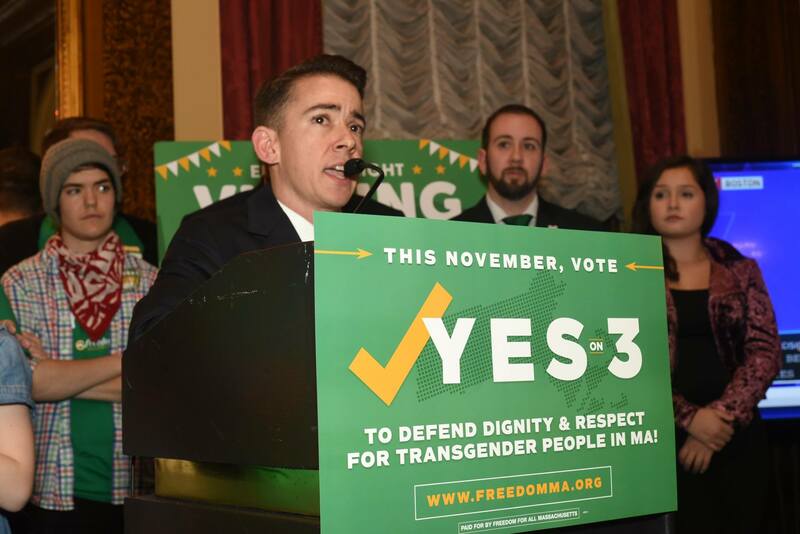 Freedom for All Americans is proud to be a leading member of the Yes on 3 campaign, with our President of Strategy Kasey Suffredini serving as campaign co-chair. The Massachusetts victory was preceded by another historic vote In April, when an attempt by anti-LGBTQ opponents to repeal existing nondiscrimination protections for transgender people in Anchorage, Alaska failed at the ballot. 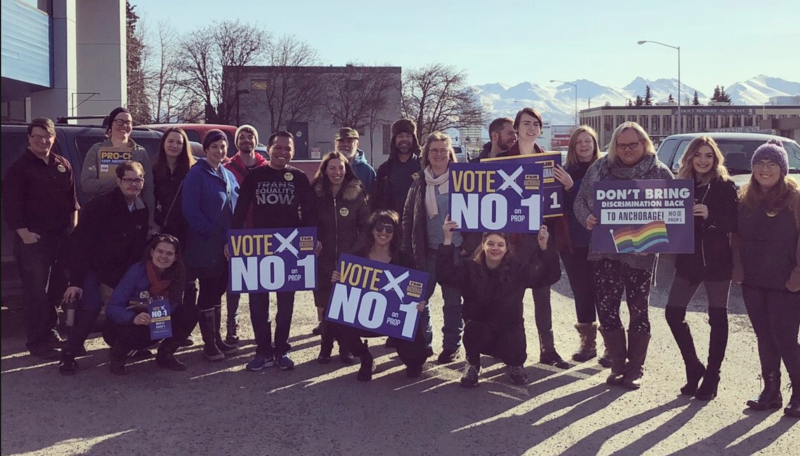 The divisive ballot question, Proposition 1, was rejected by voters thanks in part to organizing by Fair Anchorage’s No on Prop 1 campaign, led in part by Freedom for All Americans. 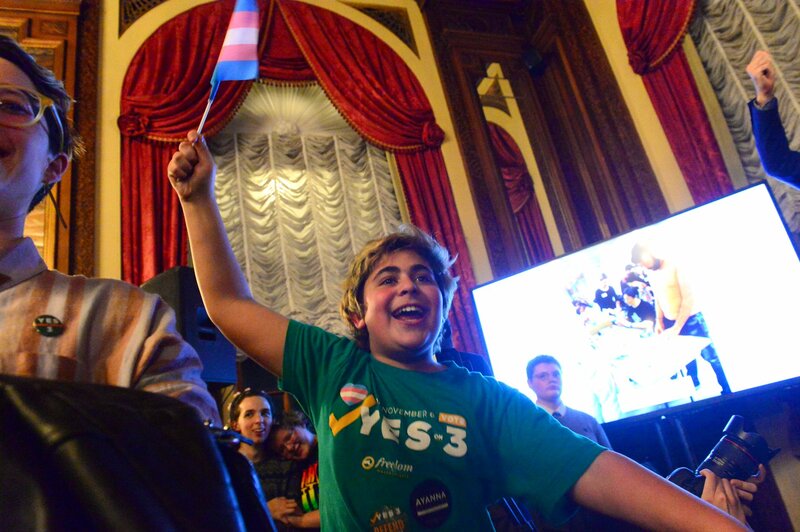 Through thorough voter contact, the centering of transgender voices at the heart of the campaign, and an effective media strategy, Fair Anchorage saw victory in the vote-by-mail election, with over 52% of voters upholding the existing law — the first time an American jurisdiction has voted to specifically uphold transgender dignity at the ballot box. On the legislative front, Freedom New Hampshire triumphed this year in passing comprehensive, transgender-inclusive nondiscrimination protections in New Hampshire. Although previous efforts had stalled, the campaign worked with lawmakers to introduce these protections, which received the critical support of Republican Governor Chris Sununu, alongside a bipartisan group of other influential caucuses and coalitions. 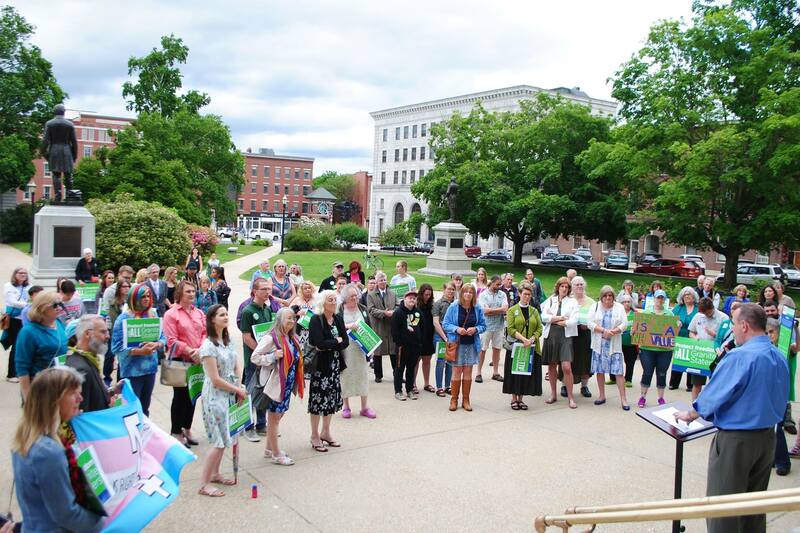 Freedom New Hampshire also worked to familiarize lawmakers and their constituents with their transgender friends and neighbors through a series of innovative “Ask a Trans Person Anything” events, hosted by local businesses. On June 8, Governor Sununu signed the bill into law, making New Hampshire the 19th state to offer comprehensive nondiscrimination protections for all LGBTQ people. The law was passed when New Hampshire was led by a Republican majority in the House, Senate, and Governor’s office. It is easy to focus on the negative when the national landscape for transgender people is often hostile and tense – but as we push back against discrimination, it is also critical that we celebrate these wins. Victories like the ballot fights in Massachusetts and Anchorage, and bipartisan legislative victories like the one in New Hampshire will propel our movement forward. They will arm us with the best knowledge and strategies possible. And they will ensure that we can build enough momentum in the states to ultimately cross the federal finish line and secure comprehensive nondiscrimination protections for every LGBTQ American. You can do your part to support LGBTQ nondiscrimination protections, too. Click here to join us in celebrating major wins – like Election Day’s Massachusetts victory – and committing to push forward for federal protections for LGBTQ people.